My anniversary is coming up and I’m in charge of planning a stay at home anniversary date. I could get some take-out and make things easier for myself, but there is something special about cooking the meal yourself (especially if you cook it together), but at the same time I do like to try and make it a simple meal so they whole night isn’t spent cooking. I tried Googling some ideas for easy, delicious romantic dinner meals at home and really came up short. They were all too complex and fancy or just didn’t sound very good. It was time to bring out the big guns: texting my sisters. I’ve got 5 sisters and I don’t know why I didn’t ask sooner. Sometimes word of mouth of friends or family you trust is a lot better than Google or reviews of strangers. It was time to go old school and it paid off. They instantly spouted off several different ideas and I definitely had something to work with. 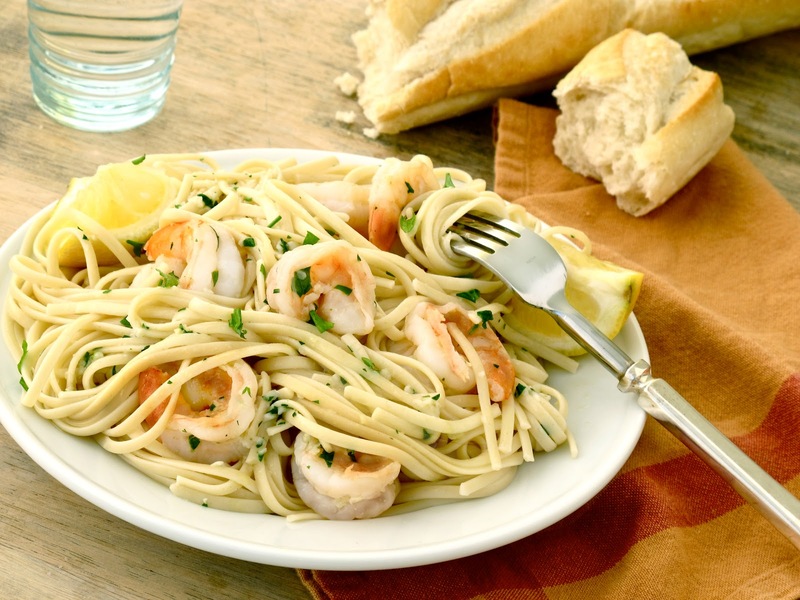 One sister says her go-to is always shrimp linguine, French bread, roasted asparagus and a simple chocolate mousse for dessert. Sounds so yummy! 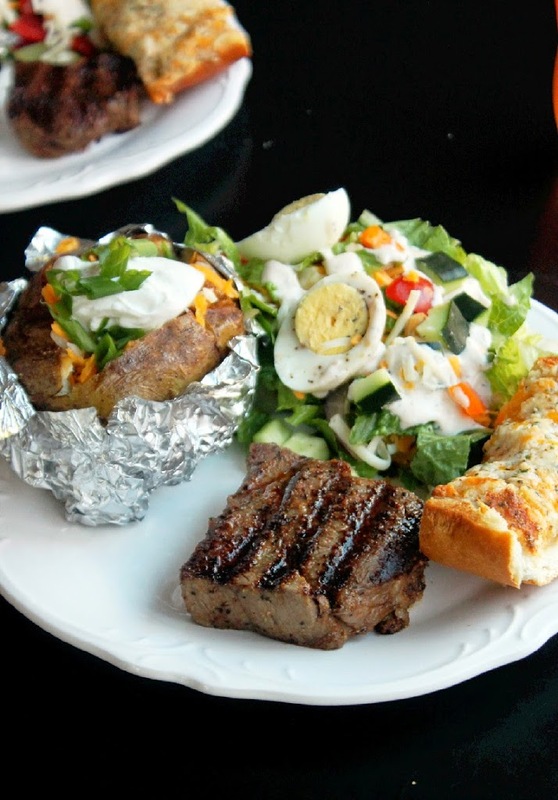 Another suggested grilling up some steaks, baked potato, rolls, salad. Love that idea. I’m quite sure I’ve made that kind of thing before but as much as I love a good baked potato, I loved twice baked potatoes even more! So I always opt to make those instead. And another sister said her husband (who is one of those grill master kinda guys) recently grilled up some bacon-wrapped pork chops, which he also seasoned with his favorite rub. She also said they’ve made bacon-wrapped, cream cheese stuffed peppers and grilled those, which sound delightful as well! I thought these were all really great ideas but I ultimately agreed with my sister with the pasta idea. Unfortunately, as much as I wished I loved shrimp, I even think shrimp looks and sounds like it tastes delicious, but it just doesn’t to me, so I’m going to do a different pasta dish. Our favorite restaurant to go to as a family is Old Spaghetti Factory and I’ve been getting the exact same thing there every single time year after year and I never get sick of it. Garlic Mizithra, anyone? Have you had this dish before? It is simple enough but has so much flavor and a lot of textures. 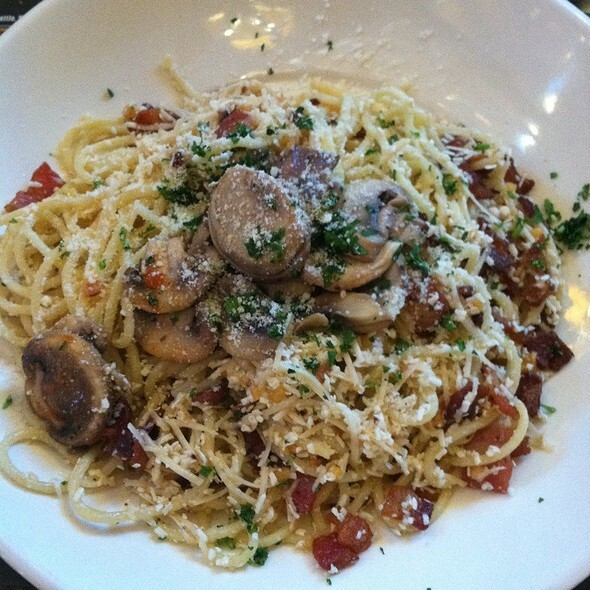 It is spaghetti with Mizithra cheese and browned butter tossed with a delicious blend of sautéed garlic, bacon, and mushrooms. My husband and I (and any other adult that we drag along with us) always order this same thing and my husband always remarks how easy this must be to make. It is true. But I haven’t ever made it until now, which is just silly! It really is very easy and I can’t wait to put this in my regular rotation. So, garlic Mizithra is going to be the star of our anniversary meal! With garlic bread, roasted asparagus and I think I’m going to mimic one of the other dishes I sometimes get at Old Spaghetti Factory to go with my garlic Mizithra cheese and that is crab ravioli. The ravioli is topped with a pesto alfredo sauce. Yum yum yummy! I can’t wait. 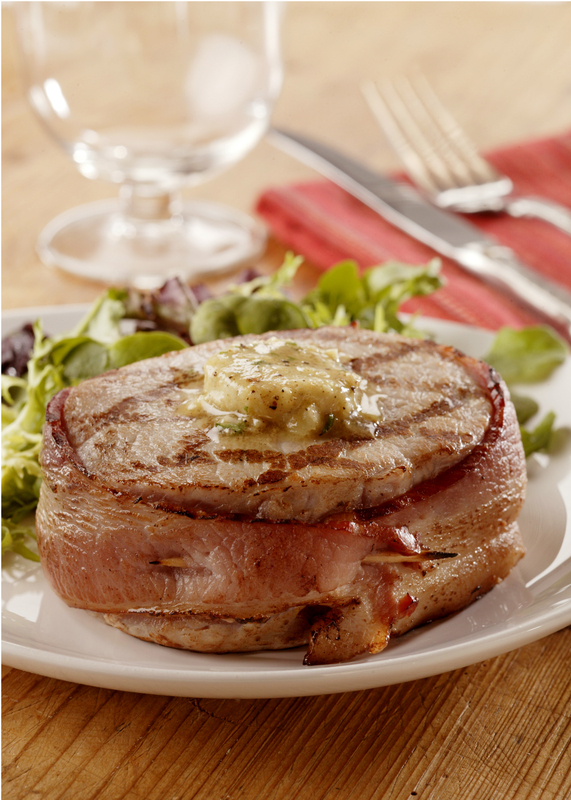 Even though this meal sounds and looks gourmet, it is quite easy to make. What is your favorite meal to make for an anniversary or other romantic date at home kind of meal? Bring about one gallon of water to a boil in the sauce pan. Cook spaghetti in the boiling water for approximately nine minutes. While the spaghetti cooks, preheat a large skillet and sauté the bacon for approximately three minutes. When the bacon is done, add mushrooms and sauté for 45 seconds. Then add the garlic and sauté for 30 seconds. Add the Mizithra and browned butter and mix well. Drain the cooked spaghetti in the strainer and add the spaghetti to the large skillet with the ingredients, toss with tongs and serve immediately. Cut butter into cubes and place in a small saucepan with a light-colored interior (this makes it easier to gauge the color of the butter as it browns). Cook butter over medium heat until it comes to a low boil, stirring frequently with a whisk for about three minutes. Cook while stirring constantly to prevent residue from sticking and overflowing, about four minutes or until foam subsides. Continue to cook until the liquid turns an amber color, one to two minutes longer. Remove from heat. Set aside for three to five minutes to let the sediment settle to the bottom of the pan. Pour the browned butter through a strainer into a small bowl and discard the sediment.